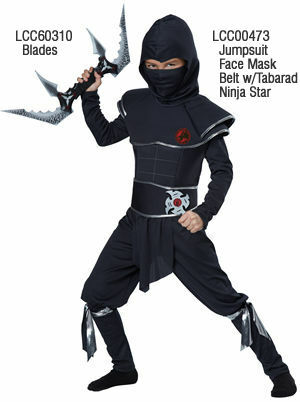 Jumpsuit, face mask, belt and ninja star set. Jumpsuit with attached hood and ties. 別売 武器ブレード LCC60310.